This research project is aimed at development of an Iowa Pavement Markings Management System (PMMS). 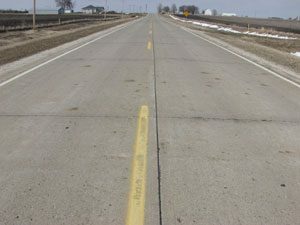 The project goal is to create a practical and useful management program specific to pavement markings for the Iowa Department of Transportation. This system will also be valuable to Iowa cities and counties for managing pavement marking resources. Managing pavement markings systematically will help agencies budget their time and resources.